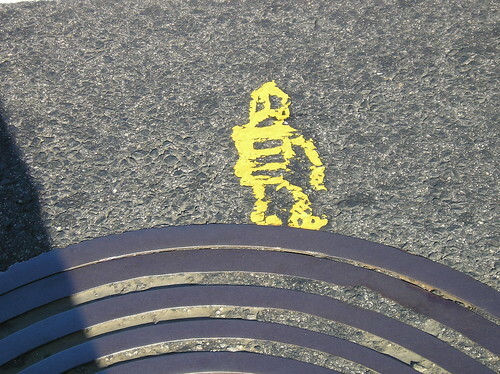 These Stikman figures are at the intersection of 7th and Independence, SW. the one on the left is near the northeast corner of the northern crosswalk, and the one on the right is near the southeast corner of the eastern crosswalk. The one on the man whole reminds me of a figure walking on the moon. A close up is below. Photographed in November 1942, here’s a dishwasher who worked in a D.C. waterfront restaurant. Here’s a great image from the Library of Congress Flickr pool taken ca. 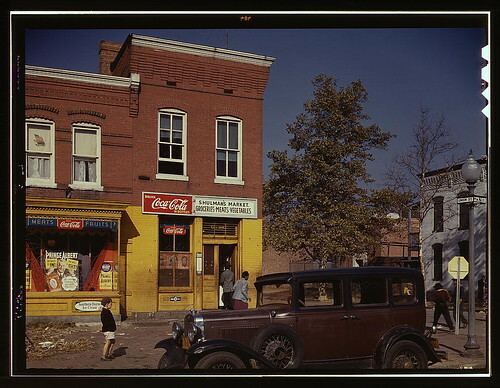 1941 of Shulman’s Market at the corner of N and Union Sts., SW. Yep, that’s right, SW. After the great urban renewal that swept thought there like a tornado in the 1960s, there is only a handful of structures that have any history to speak of. Not only is Shulman’s gone, but so is Union Street. June 22, 1964: Ground was broken for construction of 527 living units in the District’s Southwest Urban Renewal Area. 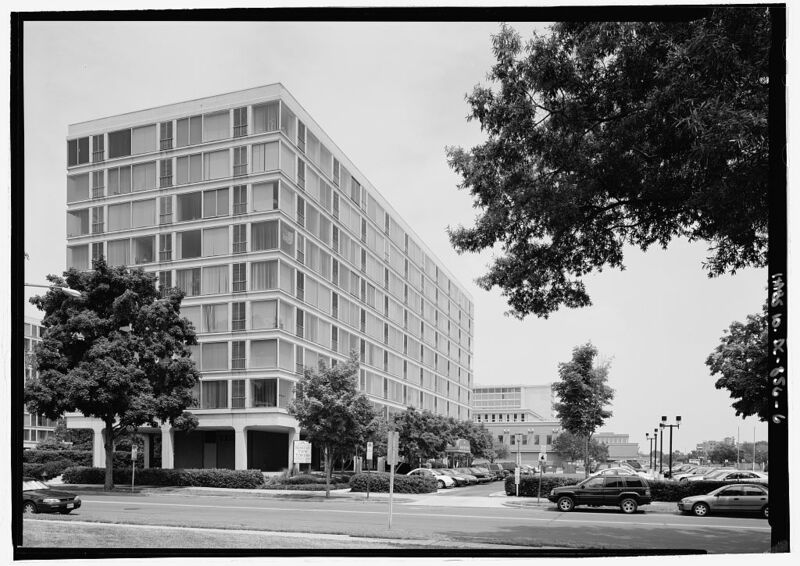 Three nine-story apartment buildings and 14 town house complexes on an eleven-acre site bounded by M Street, 4th Street, Delaware Avenue, and N Street. The target date for complete was set for October, 1965. The development brought the total living units under construction in the Southwest Urban Renewal Area to 2,000. Another 2,000 in the area south of Independence Avenue, SW, had already been completed and occupied.